STANDS ALONE!!! 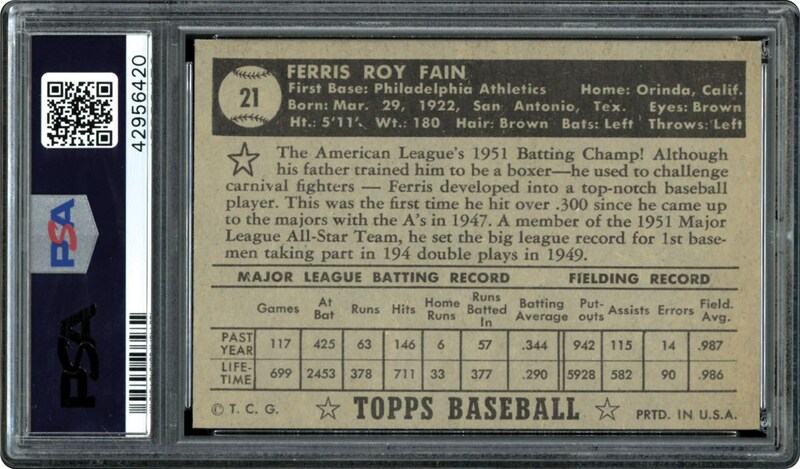 The one and only highest graded card of Ferris Fain with the Black Back from 1952 in a PSA 8.5 holder. New to the hobby, every Registry Set Collector will want this one!!! 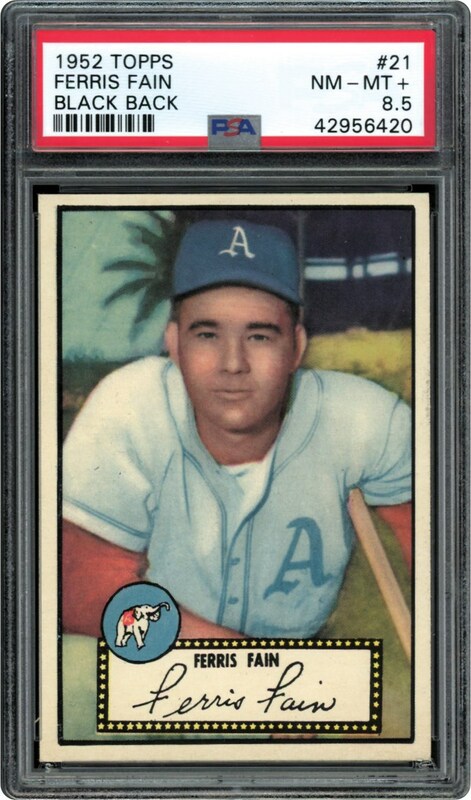 Consider there has been 355 cards with the Black back graded and this is the sole, highest graded 8.5 example!! !